I just don't have words to describe what a phenomenal book this is. Margaret Atwood is one of (if not THE) best living authors today. 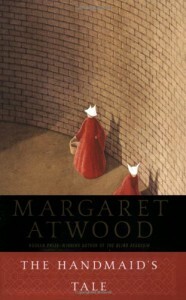 This book sucked me in from the beginning and pulled me along, voyeuristicly through Offred's story, to a conclusion that had me wanting more. A scary look at a possibly future (especially in America) that everyone should read.